Whether you love him, hate him, or fall somewhere between the two extremes, the debate on whether Ray Allen should be inducted into the Basketball Hall of Fame is now a moot one - Allen will reportedly be inducted along with fellow stars Jason Kidd, Steve Nash, Maurice Cheeks and Grant Hill. The Naismith Memorial Basketball Hall of Fame 2018 class has been announced! They round out this year's class, which also includes college coach Lefty Driesell, and women's basketball luminaries Tina Thompson and Katie Smith. While many a Boston Celtics fan is feeling a little conflicted about celebrating his induction (myself included), the debate surrounding his induction probably shouldn't be colored by whatever feelings you may have about Allen the person. No!! gr8 player/career but no #hof. I remember the bucks with big dog, Tim Thomas, cassell EJ n others failing 2 get 2 the finals. Among this year's inductees, the former University of Connecticut star actually has one of the strongest resumes, including two championships (Boston 2008, Miami 2013), ten All Star appearances, a pair of All-NBA team elections, an Olympic gold medal, and a display case of lesser hardware. He's also the record-holder for both three-pointers made and attempted, and while that record likely won't last much longer with today's game being what it is, for now at least he happens to be the most proficient player in history at making the game's most important shot, at least in terms of efficiency. 2x NBA champion. 10x NBA All-Star. NBA's all-time leader in career 3-pointers made (2,973). Compare that to Kidd's one ring and ten All-Star appearances (yeah, sure, he's got a lot of lesser awards, fair), Hill's zero rings and seven All-Star appearances, Nash's no rings, two Most Valuable Player awards and eight All Star nods - or Mo Cheeks' one ring and four All Star appearances, and you could make a case he's got the best resume among NBA players inducted this year. Keep in mind the Hall of Fame also covers player careers in all of basketball as a player, and while rings and other hardware are certainly important, they are also not the only factor. Players with few or no rings who left a mark on the game in all kinds of intangible ways are also considered, but that doesn't stop some of Boston's fanbase and beyond from feeling unhappy with his nomination. While I may not agree with how Ray has conducted himself since leaving the Celtics, he is in my mind a legitimate inductee. With this year's Hall of Fame inductees now made public & Ray Allen among them, the debates begin. Some think he belongs, while others don't think he belongs despite his rings & records. 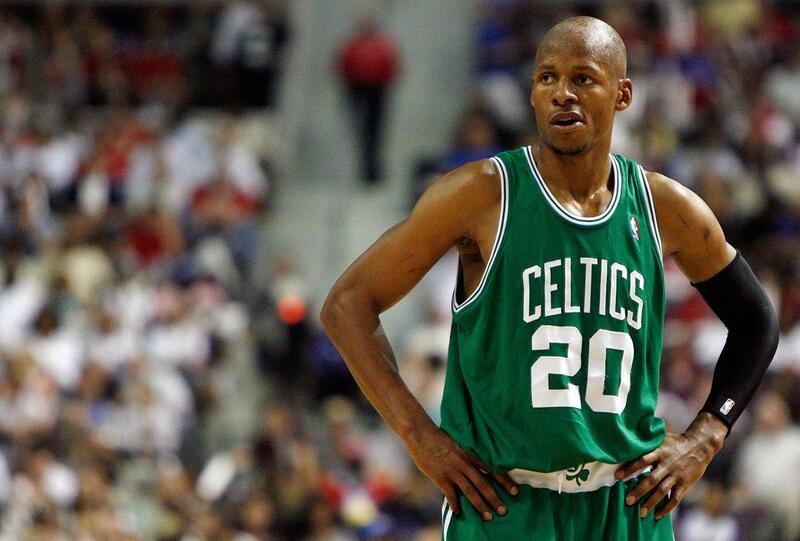 At @CelticsLife , we want to know how YOU feel - should Ray Allen be in the Hall of Fame? How are you feeling about Jesus Shuttlesworth ascending to basketball heaven, as it were? Are you convinced, either way? Is it close? If so, let us know why in the comments below.